According to a study conducted by the National Institutes of Health, the corneal donor tissue can be stored for eleven days. Experts at NIH arrived at this conclusion after studying the success of transplantation surgery to restore vision in people with disease of the cornea/ The corneal tissue used in this transplant had been stored for eleven days. Results from a large, national clinical trial show that corneal donor tissue can be safely stored for 11 days without negatively impacting the success of transplantation surgery to restore vision in people with diseases of the cornea. The cornea is the eye’s clear outer covering. Currently, donor corneas are generally not used for surgery in the United States if they have been preserved for longer than seven days. The U.S. Food and Drug Administration has approved the use of solutions to preserve donated corneas for 14 days. “The current practice of surgeons to use corneas preserved for no longer than seven days is not evidence-based,” said Lass. However, he is hopeful that this practice based on opinion will change in the light of new evidence. Two reports from the Cornea Preservation Time Study (CPTS), which was funded by the National Eye Institute, part of the National Institutes of Health, appear online Nov. 10 in JAMA Ophthalmology. Researchers looked at three-year graft success rates among a total of 1,090 individuals (1,330 eyes) who underwent transplantation via Descemet’s stripping automated endothelial keratoplasty by 70 surgeons at 40 surgical sites. Most of the patients underwent transplantation for Fuchs’ endothelial corneal dystrophy, a progressive disease that causes cells to die in the innermost layer of the corneacalled the endothelium. Death of corneal endothelial cells is a normal part of aging. However, Fuchs’ accelerates this cell death. In such cases, corneal transplantation is the only treatment available to restore vision.Overall, the investigators were unable to conclude that three-year success rates were the same for corneas preserved for eight to 14 days compared with up to seven days (92.1 percent versus 95.3 percent). However, parsing out the data, they found that much of the difference between the groups was accounted for by those who received corneas preserved 12 to 14 days. There was no meaningful difference between those who received corneas preserved up to seven days and those who received corneas preserved eight to 11 days. In a separate analysis of the data, the investigators analyzed the extent of endothelial cell loss (ECL), that is, the loss of cells in the corneal endothelium that continued to occur as a normal part of aging in the grafted donor cornea three years after it had been transplanted. They looked to see if differences in corneal preservation time affected ECL after three years. They noninvasively measured ECL in the 945 eyes with successful grafts and found that corneas preserved up to seven days had a 37-percent loss of cells versus a 40-percent loss in corneas preserved eight to 14 days. However, taking a closer look at the data revealed that the effect of corneal preservation time on the loss of endothelial cells was comparable from four to 13 days. This new finding is expected to play a crucial role in expanding the donor pool for corneal transplants. 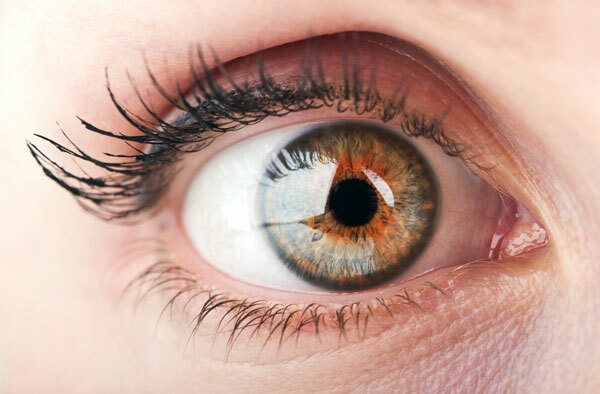 Two reports from the Cornea Preservation Time Study (CPTS), which was funded by the National Eye Institute, part of the National Institutes of Health detailing the investigation and conclusion also appear online in the JAMA Ophthalmology journal.